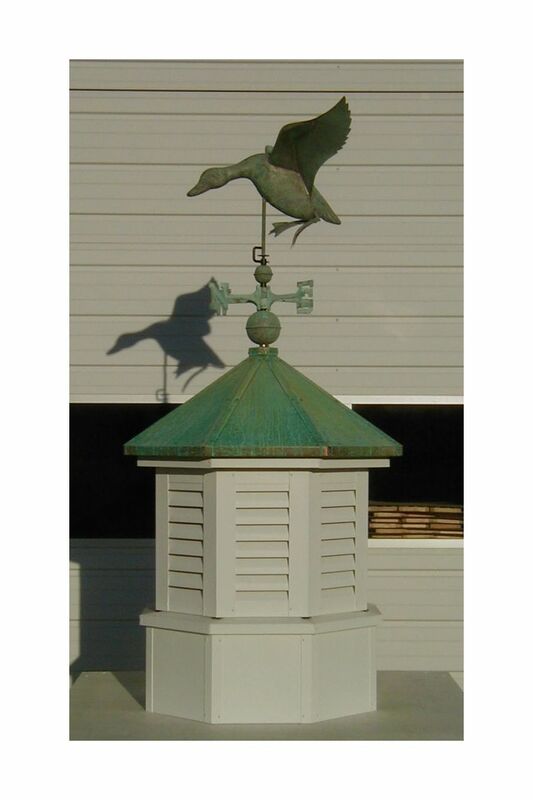 Cupolas are a beautiful accent to any home, but the really great thing is that they are not just for decoration. 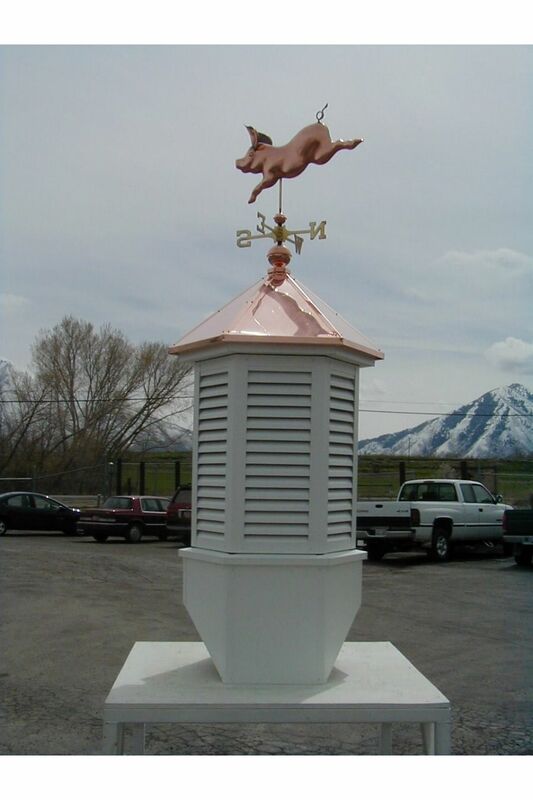 While cupolas sit atop homes looking beautiful, they are also serving a purpose. 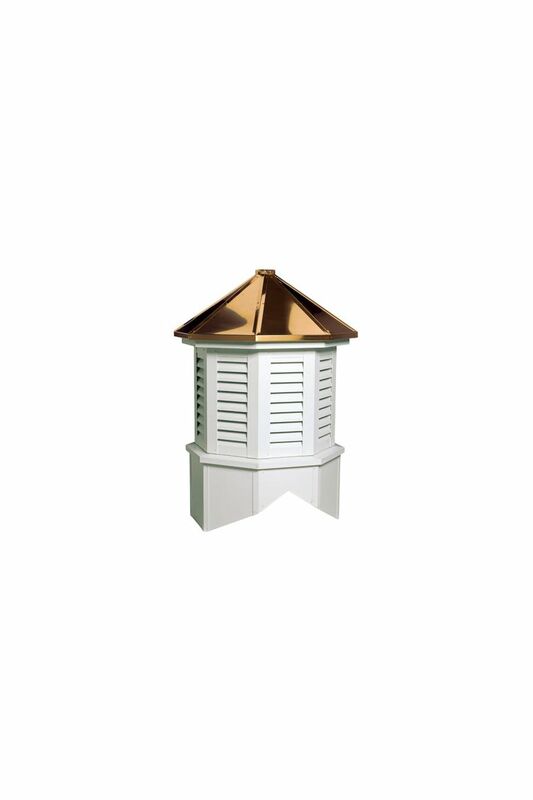 The vents at the bottom of a cupola allow for ventilation, and some even help keep bugs and small animals out. 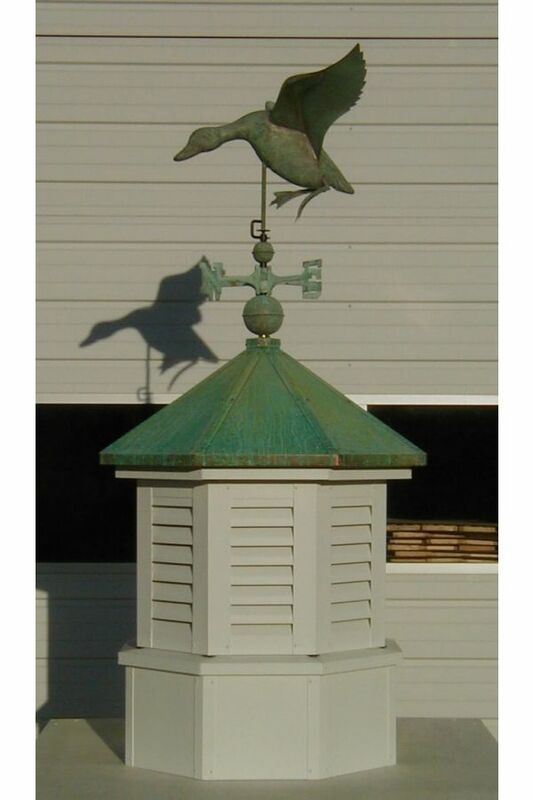 These structures are also the perfect resting place for a weather vane; which in turn can then make a cupola a source of information about which direction the wind blows each day. 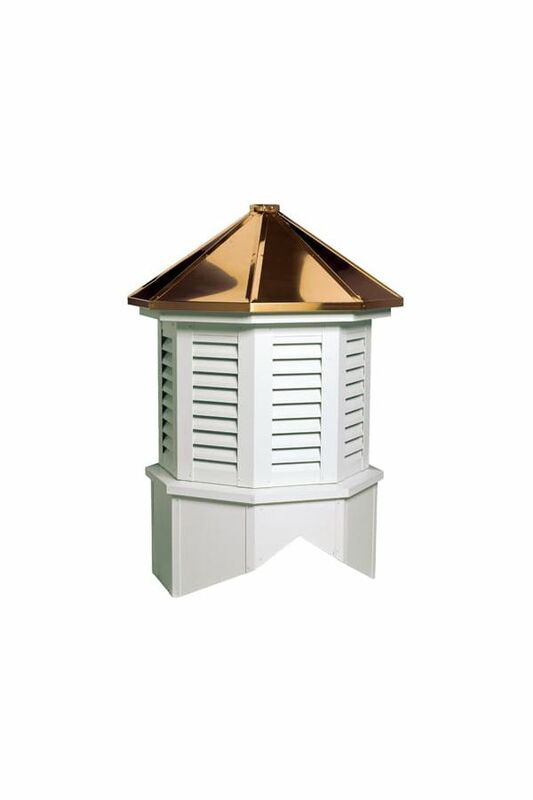 This specific cupola is a louvered Octagon constructed with a wood frame, and topped with aluminum. The aluminum is baked in an enamel finish which makes it virtually maintenance free and available in a number of colors.